The natural environment is complex and changes continuously at varying paces. Many, like the weather, we notice from day to day. However, patterns and rhythms examined over time give us the bigger picture. These weather statistics become climate and help us build an understanding of the patterns of change over the long term. Real-Time Environmental Monitoring: Sensors and Systems introduces the fundamentals of environmental monitoring, based on electronic sensors, instruments, and systems that allow real-time and long-term data acquisition, data-logging, and telemetry. The book details state-of-the-art technology, using a practical approach, and includes applications to many environmental and ecological systems. In the first part of the book, the author develops a story of how starting with sensors, you can progressively build more complex instruments, leading to entire systems that end with databases and web servers. In the second part, he covers a variety of sensors and systems employed to measure environmental variables in air, water, soils, vegetation canopies, and wildlife observation and tracking. This is an emerging area that is very important to some aspects of environmental assessment and compliance monitoring. Real-time monitoring approaches can facilitate the cost effective collection of data over time and, to some extent, negate the need for sample, collection, handling, and transport to a laboratory, either on-site or off-site. It provides the tools you need to develop, employ, and maintain environmental monitors. Miguel F. Acevedo obtained his Ph.D. degree in Biophysics from the University of California, Berkeley. Dr. Acevedo has 38 years of academic experience, the last 20 of these at the University of North Texas. "… a reference guide for any type of real-time monitoring system program development. The focus is environmental systems but the applicability is much farther than that. The text is the culmination of work that began almost two decades ago as a partnership between the University of North Texas and The City of Denton and various other stakeholders and partners and has been continued through the efforts of many staff and students alike. The work done has resulted in several master’s theses, doctoral dissertations, articles presentations, workshops and courses as well as many on-the-job applications. This text will be useful for both the in-the-field practitioner and members of academia and the content is exportable to many other areas. It helps to paint a big picture of all the parts of a program. I am really happy this book was put together. I intend to recommend it to several colleagues and many of the staff that work in my organization." 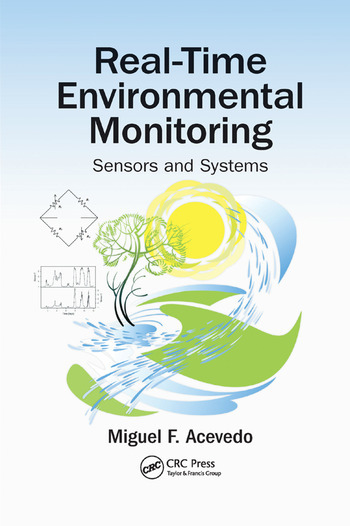 "This book is an absolutely essential addition to anyone interested in real-time environmental monitoring."